ahha ahha ak piece debe? Like the frosting flavour, and very creative! Delicious and a very tempting cake. I love chocolate and peppermint combination. Yum! Such a beautiful and delicious looking cake...loved the cute pink flowers...do you get them readymade or you made them? Wow.......cale looks superb.......feel loke having it right now. Sounds great dear..Beautiful yummy yummy cake. looks yummy.. .hey I tried your strawberry cake the other day. I will be posting it soon. thanks for sharing. Looks delicious with wheat flour. Cake looks so beautiful and delicious. Eggless versions are really handy for a party when there is veg guests also. Wat a gorgeous and beautifully looking cake, wish to have a slice. 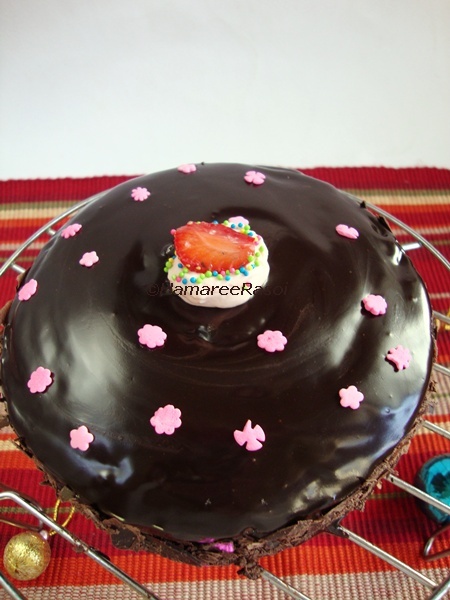 Delicious and beautiful cake Deepa, love that you used wheat flour. Cute and lovely cake !!! Peppermint ganache lovely idea !! Super wow! What a masterpiece! I am cominggggg! 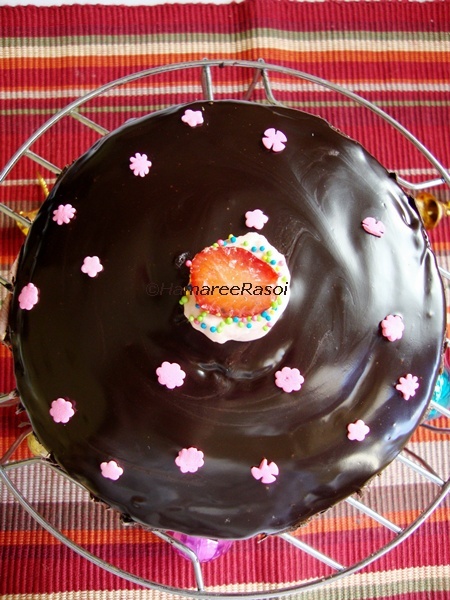 wow!cake looks so beautiful ..loved the shape!peppermint ganache looks great and delicious..thanks for sharing! Very pretty cake, looks superb. Cake looks awesome.And peppermint and chocolate is my all time favorite combination. Wow what a delicious cake. I am unable to take my eyes off it. looks awesome& creamy..Drooling over that cake!!! Eggless cake can be really tricky! Loved your recipe, Deepa. And wonderful decoration!! 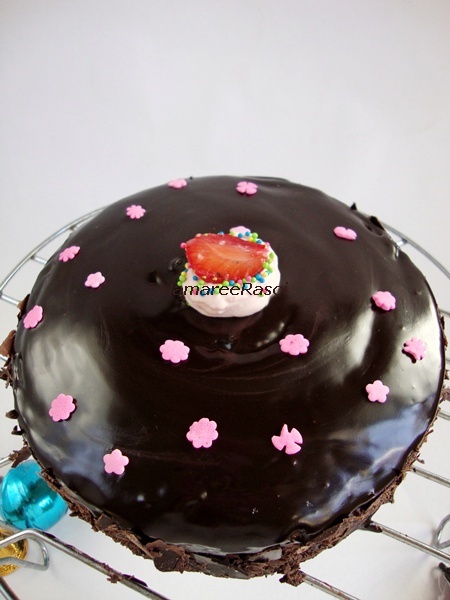 The ganache make the cake really really attractive! love the shining and the cute little flowers on the cake! Any cake with Chocolate ganache is my favorite. To top it of, you have some peppermint flavor- that must have really kicked it up a notch. Absolutely Love it. Cake with wheat flour, wow....looks awesome and yummy. as i am a pure vegetarian i like your cake very much,and moreover it is made with healthy wheat flour, i will surely try this very soon, do visit my newly born blog and leave some comment or suggestion.